Thank you for your support!! 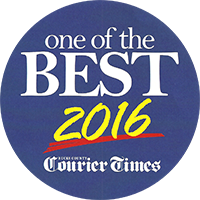 This past spring–only 6 months after starting our practice–you voted us “One of the Best of Bucks 2016”. We truly enjoy building our patient relationships and serving Bucks County each day! So many people have helped to build our flourishing dental practice and to make our success possible. Family, friends, Newtown Dental Arts, our unbelieveable staff who work hard ensuring every patient is treated like family, and of course, YOU, our patients! We look forward to continuing our mission of providing only the highest quality general and cosmetic dentistry to the wonderful community here in Newtown, PA and beyond. Thank you once again for your support and for helping to vote Nicole M Armour, DMD as “One of the Best of Bucks 2016” in the category of Industry Leaders – Dentist – Individual. Click the best of bucks symbol below to go to the list of winners on the Bucks County Courier Times website and learn more about the award. 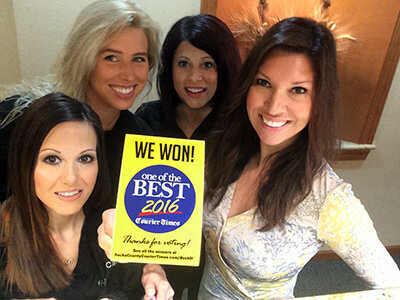 General and Cosmetic Dentisat Nicole M Armour DMD Voted One of the Best of Bucks 2016!